Congrats! By reading this, you’ve taken the first step towards transforming your life and career with Code Fellows’ high-quality web and mobile development training. With a number of important decisions ahead of you, we’ve laid out a roadmap to help navigate the journey ahead. Advantage: Full immersion and quicker completion. Advantage: Continue working while in the program; spend more time digesting the material covered in class and during projects. If you’re trying choose which option is right for you, follow this guide to weigh the pros and cons of each option. 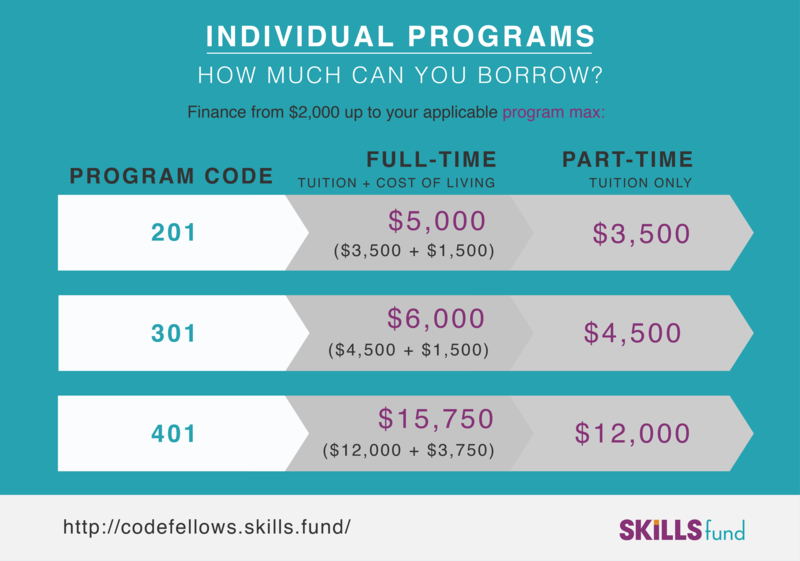 Student loans help to keep your savings intact for other uses, can offer low APRs, and provide flexibility in selecting a payment option that works best for you. Their business model: Why do they do what they do? Are there teaser rates or is everything upfront? How will your work history and current salary affect your interest rate? Will your interest rates be fixed or variable? How does your credit score affect loan terms? What is your origination fee? What is the total APR on your loan? Do you have co-signer options? Will you be penalized for not using a co-signer? Can they finance your tuition deposit? 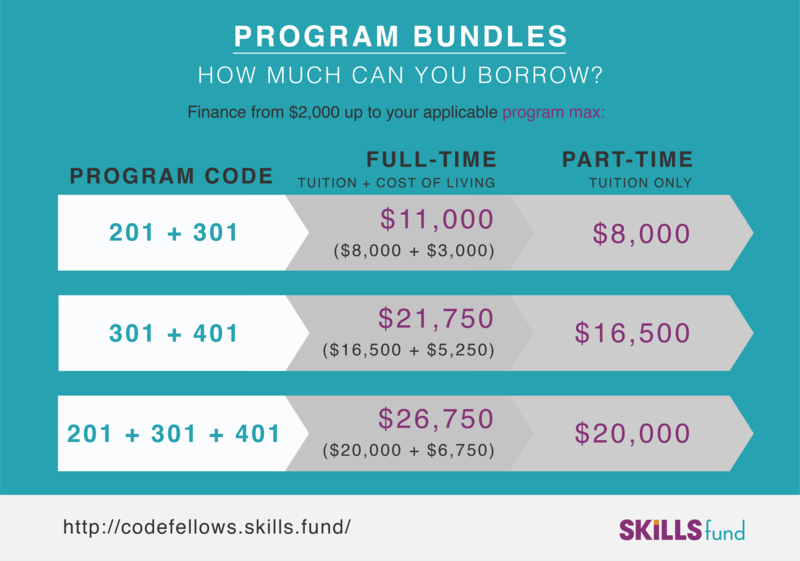 If you have questions about tuition, financing, scholarships, or anything else about Code Fellows’ program, please get in touch!